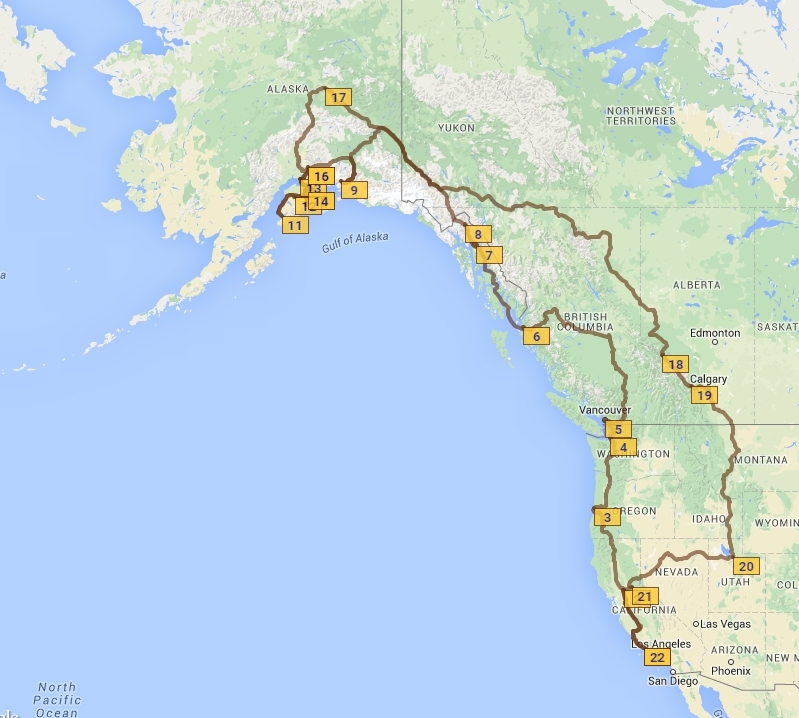 Here’s the very general idea of my route: Details as we make them, enjoying the freedom of RV travel. Will see how much we stick.. . . Will we go to Nome, head on a less traveled byway, jump on a train, a plane or another boat? Time, money and weather, how long I can stand being away from my pups and maybe good ‘old luck will tell our final passage. 15. Climb through the mountains to Banff NP & Jasper NP… yes will get out and push!